Grace mercy and peace to you from God our Father and our Lord and Savior Jesus Christ. As we prepare to celebrate the birth of Christ with the words, “Christ is born, O come let us adore Him,” I offer you a brief reflection on a subject that has preoccupied my thinking during the entire Advent season. This persistent thought began with a devotional meditation based on Luke 2:9. “An angel of the Lord appeared to them, and the glory of the Lord shone around them and they were terrified.” Dietrich Bonhoeffer wrote the following words of reflection based on that text. We have become so accustomed to the idea of divine love and of God’s coming at Christmas that we no longer feel the shiver of fear that God’s coming should arouse in us. We are indifferent to the message, taking only the pleasant and agreeable out of it and forgetting the serious aspect, that the God of the world draws near to the people of our little earth and lays claim to us. The coming of God is truly not only glad tidings, but first of all frightening news for every one who has a conscience. When I was asked to write an article about the greatest threat to the Church today, Bonhoeffer’s thought shaped my response. The church seems to be under assault from within and without. The lack of biblical and confessional preaching and teaching, combined with a lack of interdependent mutually accountable relationships and institutional preservation, has undermined our capacity for genuine outreach, evangelism and mission. Many within the community of faith are content to attend occasionally and to give sparingly. In addition, our world promotes relativistic truth, and decides moral issues based on popularity and tolerance rather than biblical mandates and transcendent truth. Freedom of religion is being relegated to freedom to worship. Traditional concepts of marriage and family are being redefined. Throughout the world Christians are being persecuted, displaced and murdered by the terrorist acts of ISIS. Yet not one of those factors—or all of them together—are a greater threat than the one that Bonhoeffer suggests. The greatest threat to the body of Christ is our indifference, our apathy! It is so easy to blame others and retreat in fear but our own indifference or apathy is slowly eroding, weakening and undermining the faith of individual believers, as well as the capacity of congregations for vibrant ministry and faithful mission. Apathy or indifference is manifest in several important ways: the loss of zeal, the loss of interest in the spiritual realm, the increasing secularization of both the individual Christian and the local congregation, and a hardness of heart, a state where our excuses replace faithful responses. The Scripture has a harsh word about indifference and apathy. “So, because you are lukewarm, and neither hot nor cold, I will spit you out of my mouth.” (Revelation 3:16) These words of warning are so severe because indifference is incompatible with love! It is impossible to love the Lord with all our heart, mind, soul, and strength and remain indifferent toward Christ. We cannot love others with the love of Christ and remain apathetic toward them. We cannot say we love Christ or others and remain unmoved and unchanged in our attitude and disposition. Every act of love, every expression of encouragement, every word that proclaims the Gospel of Jesus Christ makes a difference. Every disciple of Jesus possesses power in and through Christ, the capacity to make such a difference. The Christian life has always been more than the struggle to survive. It is investing our life in Christ in the lives of others. Living and loving with the certainty that the only life worth living is a life of sacrifice and service for the sake of the ministry and mission of Christ. We are not indifferent or apathetic about everything. We demonstrate our passion in concerts, in theaters, in football stadiums and basketball arenas, in celebrations with friends and co-workers. I believe the world is longing to experience passionate Christians who demonstrate a profound love for Jesus and for those to whom He has sent us with the Gospel. Love is always passionate towards the beloved. It is this passionate love that Christ has for us that is poured out on the cross for our redemption and salvation. What wondrous love is this! It is a love that compels us to love Christ and our neighbor as our self. 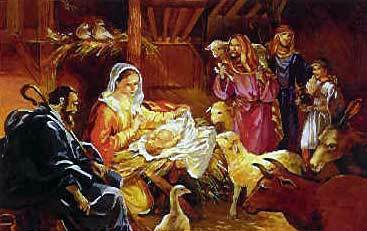 This wondrous love born in a cattle stall and laid in a manger is dispelling my indifference to my own apathy! “What Wondrous Love is This,” while not a Christmas hymn, has brought me consolation and hope. And when in death I’m free I’ll sing and joyful be through all eternity…. We cannot simply strive to change our own attitude and disposition. We cannot overcome our apathy or indifference by simply willing it. This Wondrous Love, this One who gave His life for my redemption and salvation, who gives me life that is eternal is the One who transforms my indifference to passionate love toward Him and all those He came to save. May the celebration of His birth, the wonder of His love, and the presence of Immanuel, God with us, overcome every manifestation of our indifference and transform it into manifestations of our passionate love for Christ and our neighbor.